Fishing rules in the Czech Republic are based on the Act No.99/2004 Coll. and on the Directive No. 197/2004. 2) fishing in private commercial fisheries (private ponds). Český rybářský svaz – Czech anglers union (CAU) offers fishing in almost all state sport waters. For angling in these waters it is necessary to get a “State Rod Licence” and “Fishing Permit”. To get the State Rod Licence, it is required appropriate qualification – certificate of passing of the special course. 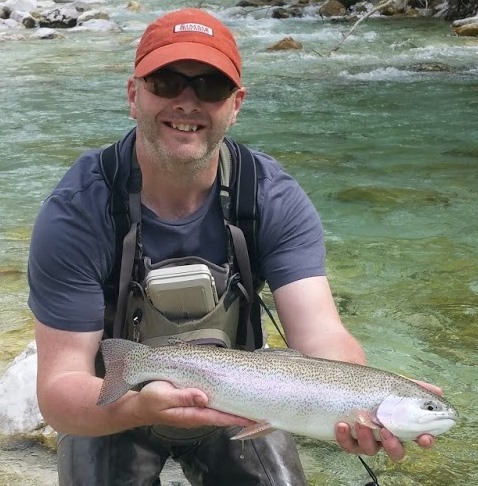 Visiting foreign anglers can bring their own licence or any fishing permit, which will allow them to prove qualification and to buy the Licence. Since 2017, it is possible to buy 1-month tourist Licence without qualification. You can get the Licence only in town councils in bigger towns and only during opening hours. I apologise, it is very stupid and we have the worst system of Rod Licences in the Universe, we have tried to change it for last 10 years but without success, our bureaucracy is very resistant and the “Tourist licence” is big step ahead. But if you send to somebody copy of your passport and fishing permit, he can arrange it for you in advance. You can get Licence for 1 month, 1 year or for 10 years, price is 200, 100 and 500 CZK, respectively. For fishing, it is also necessary to buy a Fishing Permit for concrete water or waters. You can buy it at regional boards of CAU, at individual fishing clubs and also in some of fishermen shops. There are different permits for salmonid and non-salmonid waters (and a little different rules of fishing). The most common permits are valid for all waters managed by individual regional boards of the CAU. Fishing Permits are sold as one-day, three- days, one-week (or 10 days), two-weeks (or 16 days) and one-year permit. All fishermen get fishing rules, description and map of all waters with every permit. Fishing rules are largely uniform, but for each water they can be additional specific rules so they need to be paid attention to. Every water has a six-figure code. It is always necessary to write down the date and code of water on the Fishing Permit before starting fishing. Anglers also have to record all killed fish. Prices of permits are approximately 15 Euro per day and 70 Euro per week. Fishing without the “State Rod Licence” and “Fishing Permit” as far as the infringing the rules is qualified as penal offence and in serious cases as a criminal offence. South Bohemian Board of CAU manages 95 non-salmonid and 53 salmonid waters, description you can find at the website www.crscb.cz. 2) For fishing in private ponds, there is not necessary to get State Rod Licence, owners usually sell permits at the water.